For the FIRST time in the history of the Tagaytay To Nasugbu (T2N) 50K Ultra Run, there will be a Final Briefing and Carbo-Loading Party to all Registered Runners ONLY. The T2N 50K Final Briefing & CLP will be held at the Galileia Events Place/100 Miles Cafe (catering by 100 Miles Cafe) which is located at Fort Pointe, Bonifacio Global City. The activity will start at 6:00 PM and ends at 9:00 PM on April 29, 2013 (Monday). Registered runners will have to bring their BPI Bank Deposit Slip for them to redeem their Race Bib and Free 100 Miles Cafe T-Shirt. Only those who will be present in the Final Briefing will receive the said T-Shirt. 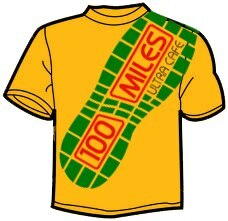 No Proxy will be allowed for the distribution of the 100 Miles Cafe T-Shirt. For those “newbies” in ultra marathon races, they have to bring a copy of their Medical Certificate or Letter/Certification of Approval from their Family Doctor that they are allowed to join in long distance running/endurance sports. There will be FREE Food & Drinks For Registered Runners ONLY. Non-registered attendees shall order from 100 Miles Cafe on separate billing. Runners who would not be able to attend the Final Briefing & CLP will redeem their Race Packet on Race Day, WITHOUT the 100 Miles Cafe T-Shirt. See you at the Final Briefing & CLP. Good luck to everybody!